*Summer 2019 internship application period has closed. Consider applying in future seasons! 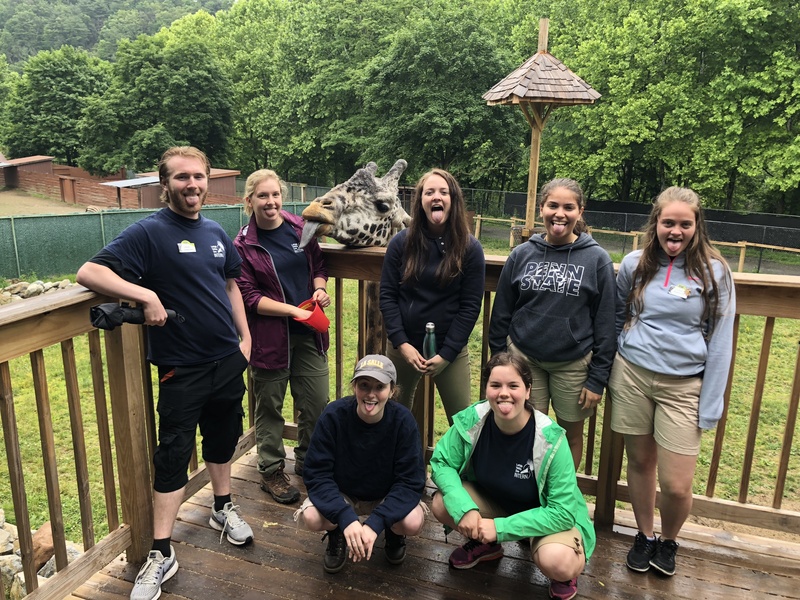 An internship with the Education Department at the Lehigh Valley Zoo is a competitive internship at an AZA accredited zoo. It is rooted in the concepts of conservation and aligns with the zoo’s mission to create a safe, engaging and enlightening wildlife experience for guests of all ages as it demonstrates leadership in the cultural, scientific and conservation communities. Interns assist in connecting the public to an Ambassador Animal and facilitate a positive change. Conservation education interns will be trained in the handling and care of the Ambassador (Education) Animals. These animals include invertebrates, arachnids, amphibians, reptiles, birds, and mammals. Interns assist with and eventually run their own onsite educational programs, nature hikes in the preserve, zoo tours, offsite educational programs, camp activities, and creek studies at Jordan Creek. When is this internship offered? We offer three sessions for the internship which correspond to the academic seasons. Spring (January – May), summer (May – August), and fall (August – December). *Specific months may vary. Requirements vary between seasons. Most internships are part-time (Spring, Summer, and Fall) and require the intern to do one 8 hour day a week for 10 weeks (not consecutive but within 13 weeks). Part-time internships are unpaid and cannot exceed 28 hours a week. Full-time internships are offered only in the summer and are paid with a stipend. Full-time interns are required to do 40 hours a week for 14 weeks (not consecutive but within 16 weeks). There are only 6 full-time positions available per summer. As stated earlier, this internship includes animal care and husbandry of Ambassador Animals. We expect the intern to be willing to working in difficult conditions including (but not limited to) humid, hot, cold, snowy, etc. We do have animals housed in outdoor exhibits so we work in all weather conditions. The safety of our interns and staff is a priority so precautions are taken. The hours of this internship typically fall into a 7am to 3:30pm shift (with a half hour lunch) but the hours can be irregular. Interns are expected to be open to an irregular schedule with possible overnights, late outreaches, and early mornings. It is also likely the intern will be asked to work weekends and holidays. A typical day during the internship starts with animal care from 7am to about 10am. If there is programming scheduled that day, it typically will start around 10am. 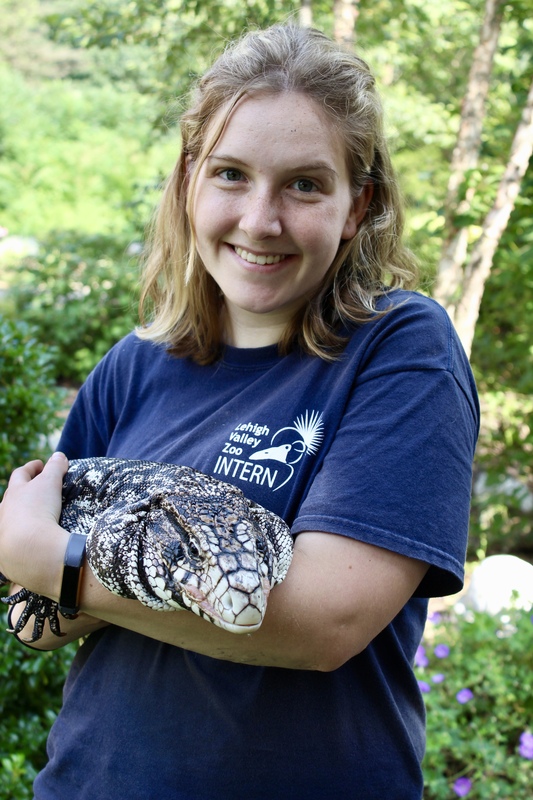 Interns have the opportunity to help run all of the programs we offer in the education department and can work up to handling most Ambassador Animals. If there is not programming, the intern will help with extra animal care, office work, assigned projects, or animal research for the remainder of their shift. Education internships are open to undergraduate, graduate, and recently graduated students. This internship is meant for anyone pursuing a career in conservation, biology, environmental science, education, or another related field. Preferred candidates would have a background or interest in education and/or environmental sciences or biology related field. The most considered criteria is willingness and excitement to learn and make a difference. We want motivated conservationists who are passionate about sharing their excitement & love for wildlife and wild places with others. Interns must have a valid driver’s license and reliable transportation to the zoo. This internship gives students an opportunity to apply knowledge and skills learned through years of schooling to a hands-on experience. The internship will allow students to learn new skills and improve upon already developed ones including public speaking, communication, problem solving, critical thinking, and many others. It will also give students an opportunity to build on his/her resume and create a network within the professional world. To apply, fill out the application below. You must email your application, resume, and cover letter to hbeville@lvzoo.org in order to officially apply. *The Lehigh Valley Zoo does not provide housing for interns. It is the responsibility of the intern to arrange and pay for housing and associated costs of living for the duration of the internship. **Interns will need to provide and cover cost of Criminal Background Check, Fingerprint Clearance, and Child Abuse clearance. Clearances must have satisfactory results. Email hbeville@lvzoo.org or call her at 610-799-4171 ext 238. The selected intern will assist with and eventually coordinate their own activity or event. As an intern, you will also be asked to conduct research about both event trends and trends within the industry. Event Planning internships are open to undergraduate, graduate, and recently graduated students. This internship is meant for anyone pursuing a career in Event Planning/ Activity Coordination or a closely related field. Preferred candidates would have a background in Event Planning, Activity Coordination, and/or Recreation Service Management. Candidates should be able to demonstrate strong communication skills, an ability to work alone or in a group, the ability to think both creatively and in a highly organized manor, as well as show critical thinking and problem solving skills. The Lehigh Valley Zoo offers internships throughout the year. Each internship lasts approximately 12 weeks but the duration is determined by the intern’s supervisor. Hours, start, and end dates are flexible and to be discussed between the selected intern and their supervisor. Spring internships usually run from February to May, summer internships from May to August, and fall internships from September to December. Interns may also receive course credit for the internship from their respective institutes as arranged by the student and director of conservation education. The selected intern will be trained in the ins and outs of aspects related to Marketing and Advertising at the Lehigh Valley Zoo. This internship is geared towards students studying marketing, communications or a related field. Students will gain a deeper understanding of the best marketing practices while representing the Lehigh Valley Zoo and its conservation mission. Assisting in the development of ongoing campaigns. Understanding the ad purchasing process and meeting with our media team. Assisting in communications surrounding ad campaigns. Coordinating with different departments to see an ad campaign through from start to finish. Analyzing and understanding results and data from ad campaign. Event Planning internships are open to undergraduate and graduate students. This internship is meant for anyone pursuing a career studying marketing, communications or a related field. Candidates should be able to demonstrate strong communication skills, an ability to work alone or in a group, the ability to think both creatively and in a highly organized manner, as well as show critical thinking and problem solving skills. Have a passion for animal conservation. Please send your resume and cover letter to Peter Fox, Director of Marketing at pfox@lvzoo.org. The Lehigh Valley Zoo is looking for a video production intern to assist with videos for advertising, campaigns, and memberships. Creating and editing videos for Lehigh Valley Zoo’s advertising campaigns, social media, membership programs, etc. Video internships are open to undergraduate and graduate students. Candidates must have a strong understanding of video editing programs, be detail oriented, creative, and able to meet strict deadlines. Applicants should have a passion for animal conservation. Please note this internship is unpaid and for credit only. If you are interested in applying for the internship please email a cover letter and resume to Pete Fox at pfox@lvzoo.org. Lehigh Valley Zoo is seeking a Membership & Development intern to assist and work closely with the Membership and Development Director. 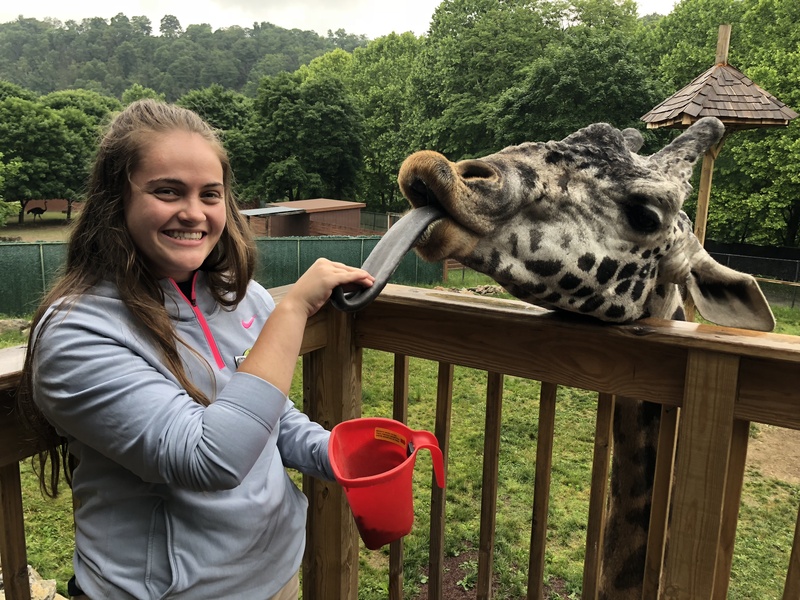 The intern will receive hands on experience in a nonprofit development department and will assist in the management of material for Lehigh Valley Zoo. Currently enrolled in a full time undergraduate or graduate degree program. Able to work in a fast paced environment, setting and adhering to strict deadlines. Please send your resume and cover letter to Stefanie Schulberger at sschulberger@lvzoo.org. Lehigh Valley Zoo is seeking college students looking for a great opportunity to build up their resume, with benefits, for marketing and direct sales. The internship will provide practical hands-on experience for those interested in the animal keeping field. 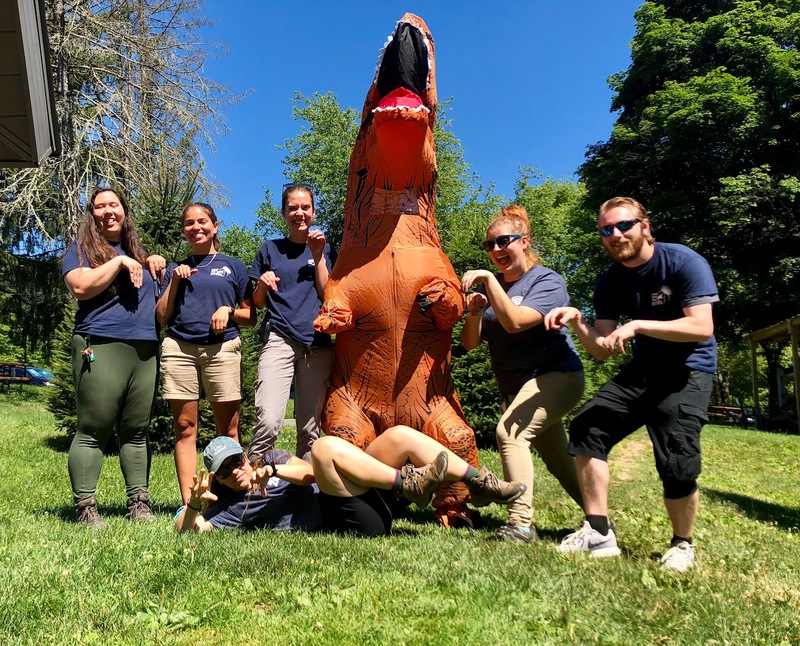 Interns will work alongside keeper staff in several different areas of the zoo learning animal care, exhibit upkeep, diet prep, enrichment, record keeping, behavioral training, public presentations, and assisting with veterinary procedures when possible. The Animal Care team works with a variety of exotic, domestic, and native animal species. Animal keeping is a physically demanding profession, and interns are subjected to a variety of physical and environmental challenges. Applicants must be willing and able to work in all types of weather, be able to lift at least 50 lbs., and will be required to have a negative TB test within the last year. Interns must be reliable, trustworthy and be able to follow oral and/or written instructions. Qualified applicants must have completed at least one year of college or have graduated within the last year. Preferred candidates will have or be working towards a degree in biology, zoology, animal behavior, or any other related field. Applicants should show strong observation and communication skills, an ability to work alone or in a group, an ability to think creatively and show critical thinking and good problem solving skills. All interns will be expected to work a ten hour day and complete the minimum hour requirement for their session. Internships are unpaid and housing is not provided. Interns may also receive course credit for the internship from their respective institutes as arranged by the student and intern coordinator. 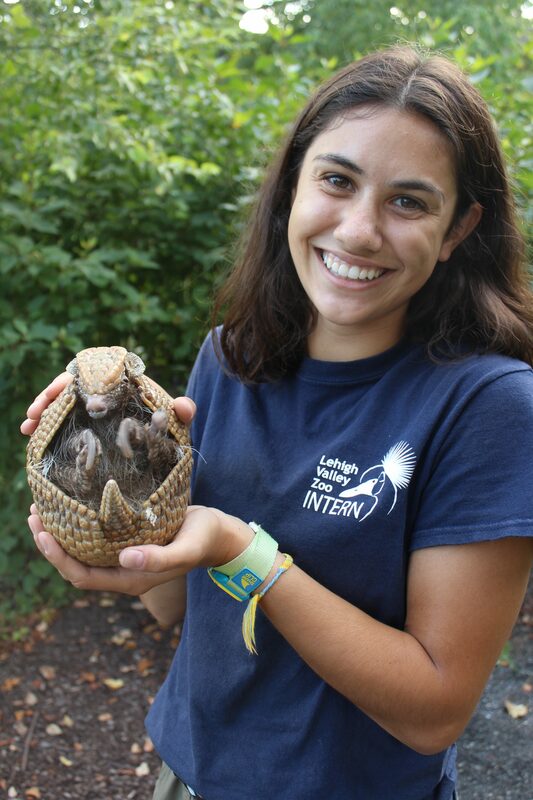 The Lehigh Valley Zoo offers internships throughout the year. Summer internships require 300 hours minimum and fall and spring internships require 150 hours minimum. The duration is determined by the intern coordinator, start and end dates are flexible but must be approved in advance. Three days a week, mid-May through mid-August (300 hours minimum). Part time: One day a week, end of August through December (150 hours minimum). Full time: Three days a week, end of August through December (12 weeks and 360 hours minimum). Part time: One day a week, end of January through May (150 hours minimum). Full time: Three days a week, end of January through May (12 weeks and 360 hours minimum). To apply, please send a resume and cover letter stating career goals, prior experience, and other pertinent information to Amy Tucker at atucker@lvzoo.org. Please specify interest in which session time along with availability. Applications sent after the deadline will not be taken into consideration. *All internships are unpaid. The Lehigh Valley Zoo does not provide housing for interns. It is the responsibility of the intern to arrange and pay for housing and associated costs of living for the duration of the internship. Experience a FUN, friendly and unique work environment with a seasonal job at the Zoo! We’re counting on YOU to make Lehigh Valley Zoo a fun place for our guests to learn about animals – Smart FUN! We currently have positions available for part-time seasonal Guest Service employees: Admission Gate, Food Service, Gift Shops, Front Office and Face Painting. Must be 18 years or older. The Zoo is looking for camp counselors to lead our summer camps! The counselors will work closely with the education department to successfully run seven weeks of camp. The summer camp counselors will be responsible for a group of 20 children each day. Counselors will carry out curriculum-based games and activities and help the campers have a great experience. Activities can include zoo tours, attending live animal programs run by education staff, group games, experiments, arts & crafts, creek studies, nature hikes, and more! This is a seasonal, full time (40 hours/week) position. Positions are available in two age groups: 6-8 years old and 9-11 years old. The pay rate is $8.50 per hour. Applicants must be 18 or older. Previous experience working with children is required. Background education in the natural sciences and/or prior work or volunteer experience based in the natural sciences is preferred. Applicants should be enthusiastic about animals, nature, and working with children and should be able to improvise if needed. The Lehigh Valley Zoo is located on the Trexler Nature Preserve in Schnecksville, PA. We are a non-profit organization and are accredited by the Association of Zoos and Aquariums. See our summer camp website for additional information. Please email a cover letter and resume to Josie Bonham at jbonham@lvzoo.org by January 31, 2019.